Back home now. Let’s see you try and predict when the bluebonnets are at their absolute peak, or where and when a lightning bolt will strike, or … when the tarpon migration moves through the Keys. But that’s another story or more, for another day (or more). Back home we ride the weather tiger once again. While I am receiving photos of monster bass from Lake Ray Roberts, I know my calendar is reminding me, or about to remind me of the “First Carp of the season” in years X, Y and Z. 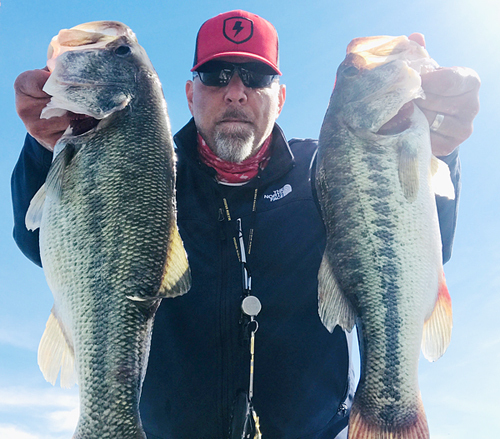 This photograph is Tim Bach and he specializes in bass on fly at Lake Ray Roberts. This guy is a pedigreed fly fisher, and obviously knows what he’s doing. Feel free to hit the contact page here, and I can put you in touch with Tim – and I would not HESITATE if I were you! It took a few hours to get (almost) all the road film off the skiff yesterday, and while I was hoping for a rain rinse, I did not get one. For those keeping scorecards at home, I drove from Key West Florida to Denton Texas, leaving at 10:30 am Friday, and arriving in Denton on 7 p.m. Saturday. I didn’t know I still had an iron posterior, but apparently I do. The shakedown cruise is over now, and I am ready for some real action a bit closer than 1400-miles away. Feeling how good early spring actually feels, I realize we were really pummeled by our Texas winter. Even the long Florida drive left me with a spring buzz. When I saw the town in the light of day, it was obvious Mother Nature had begun to re-cover this ugly town’s bones with her green growth, soft purple honeysuckles and redbuds. In the matter of a week, spring sprang a new wardrobe and dropped her fine allergens for all to sniffle. Right now, for the first time ever, I am locked in to a schedule that prevents me from hitching the boat and looking for that first carp of the season (one calendar alert popped today). I am relegated to odd times and more evening oriented action for bass as we start cranking up the year, but maybe the weather-heads will be wrong about this weekend! Remember to check the YouTube Channel later this week! I should have some touristy stuff from Florida, and we will get a Texas Fly Fishing Report — YES THE ORIGINAL — out consistently starting this week. ALSO, check back here for more detailed information on Marathon, FL, and what I learned about that mythical place. Be sure to contact me and get on the FISH FLASH text messaging list. 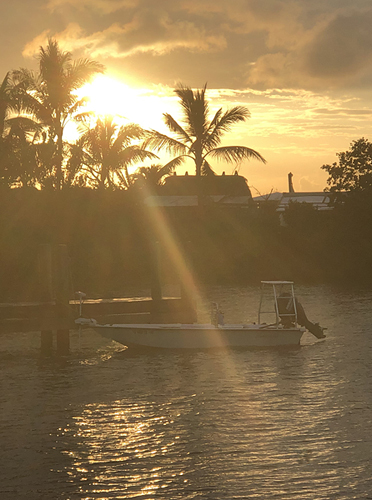 I will send out information about where the fish are biting as it happens, and you will be the first to know – IF YOU ARE ON THE LIST.